Two hundred years ago the road to Lichfield crossed Ley Hill Common to Mere Green and then followed the twisty lane which is now Hill Village Road. There were houses on either side of Hill Village Road, and lanes leading off to left and right. The houses and cottages formed the village named Hill, which had been laid out in the eleventh century, very likely as a planned new settlement at a time of growing population and prosperity. The lanes led off to the open fields of Hill, where the villagers had their strips of land. A typical villager would go down Holly Lane to Mare Field, which had been ploughed in the Autumn, to cultivate his dozen half-acre strips of land there, or up Sherifoot Lane to Shirralls Field, where his strips had been Spring-ploughed, or down Butlers Lane to Wall Field, uncultivated that year, to make sure that the village flock would be folded on his strips overnight, and so manure his land. For centuries the villagers of Hill held their land as tenants of the Monks of Canwell Priory, although Hill was within the Manor of Sutton Coldfield. The whole of the north of Sutton was deemed to be in Hill Quarter, while Hillwood was a section of Sutton Chase, extending as far as Shenstone and Tamworth. This all changed in 1528, when Sutton Coldfield received its Town Charter, and some men from Hill were elected to the town council, known as the Warden and Society. Canwell Priory was dissolved in 1526, the farms became private property, and the open fields were gradually replaced by smaller fields as farming methods changed. In 1807 the road to Lichfield came under a Turnpike Trust, committed to its improvement. It was decided to bypass the narrow, steep lane through Hill, and a new straight section of road was built from Mere Green. Mere Green now became the more important centre, the principal public house, the Barley Mow, was moved from Hill Village Road to Mere Green, and the village of Hill went into decline. 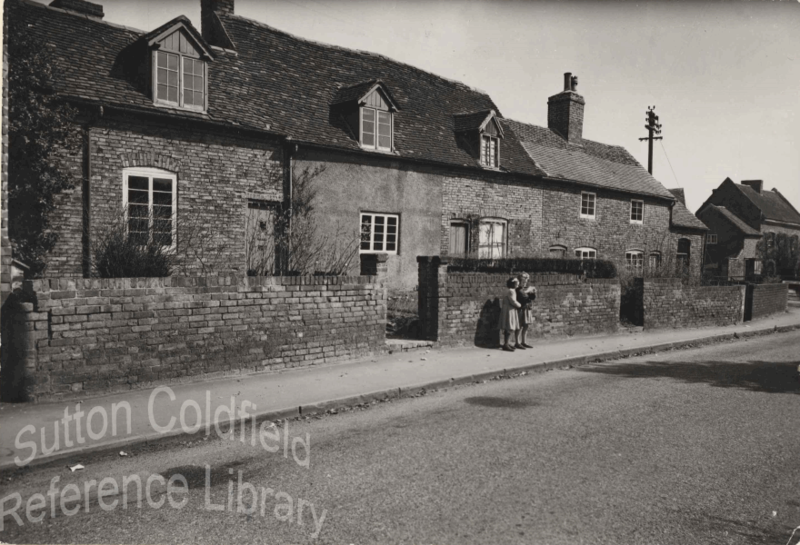 In the twentieth century most of the old houses and cottages were demolished to make way for new developments, extending along the whole length of the old lane.